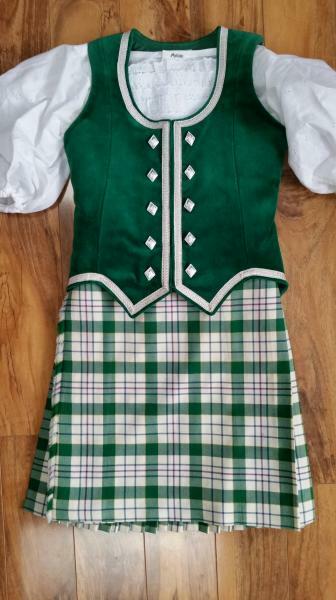 dance.net - Full Highland Kilt Outfit - Green Milne tartan (10244811) - Read article: Ballet, Jazz, Modern, Hip Hop, Tap, Irish, Disco, Twirling, Cheer: Photos, Chat, Games, Jobs, Events! 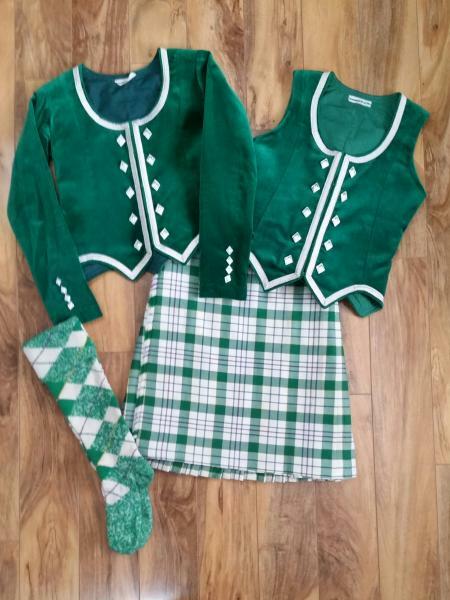 Includes blouse, vest, jacket, hose, & kilt. 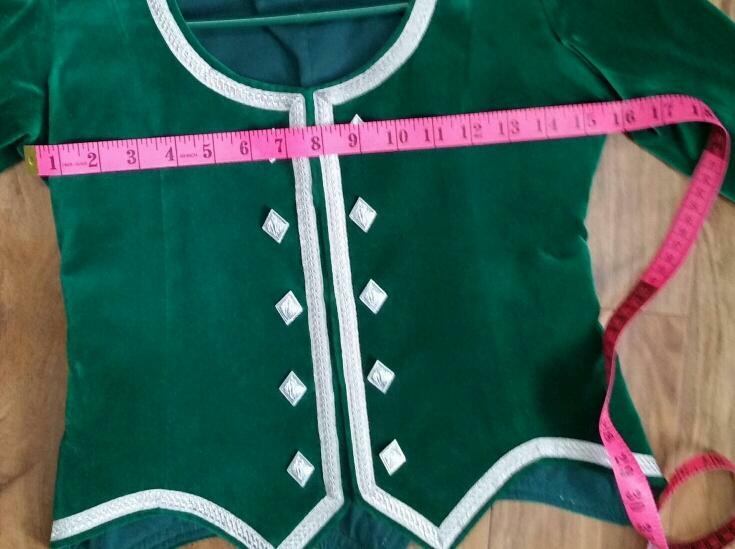 Jacket and vest were made by Gloria, both are 18" nape to point. Vest 28-30" chest, jacket 31-32", 20.5" long sleeve. Kilt 22" long, 24" (tightest buckle) to 27" waist. We purchased the kilt, vest and jacket used. Asking $560 for everything together. 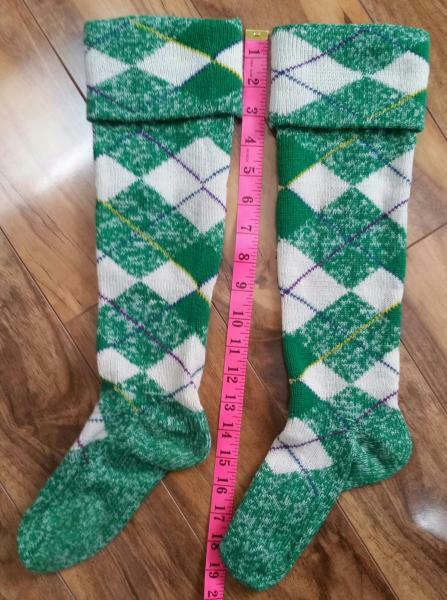 Buyer pays shipping from Ontario. 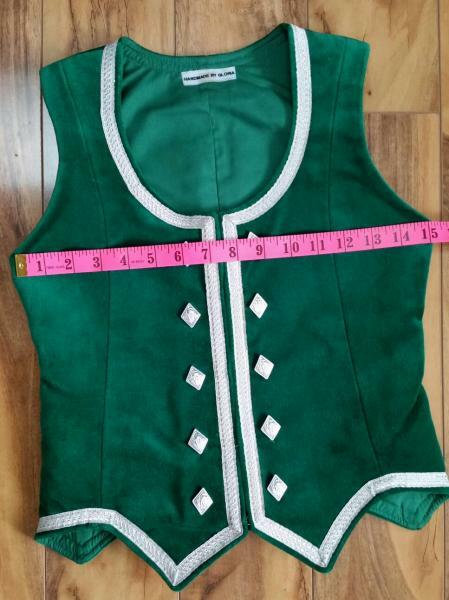 Here are the chest measurements for the vest and jacket. I would say 26-27 inches max. 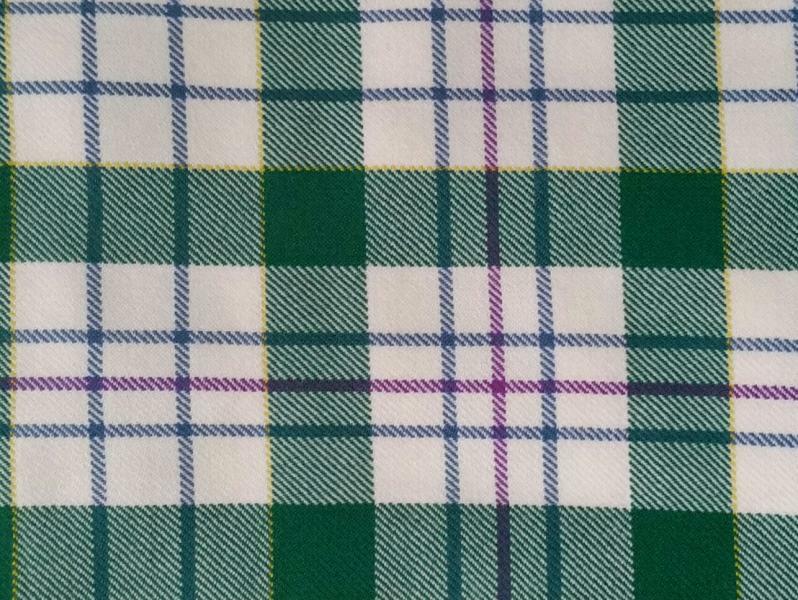 It is a full kilt with lots of movement.